I love this post so much. Nerds unite! 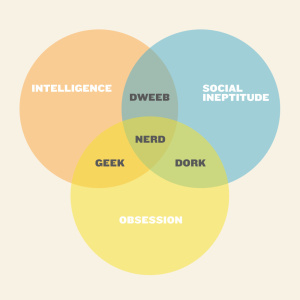 …Though I might fall into the Dork category from the venn diagram.